Indian IT Course provider NetworkNuts institution website(networknuts.net) is hacked. Hackers hijacked the Admin session . A Sannatta Hacker. 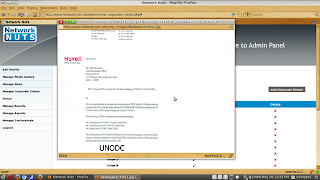 Mr. Faltu reported this vulnerability to the NetworkNuts on Sep 4 of this year but there is no patch from other side. So he published it publicly.